To celebrate its 15th anniversary, sounding light releases its fourth CD recording: Unclouded Day. 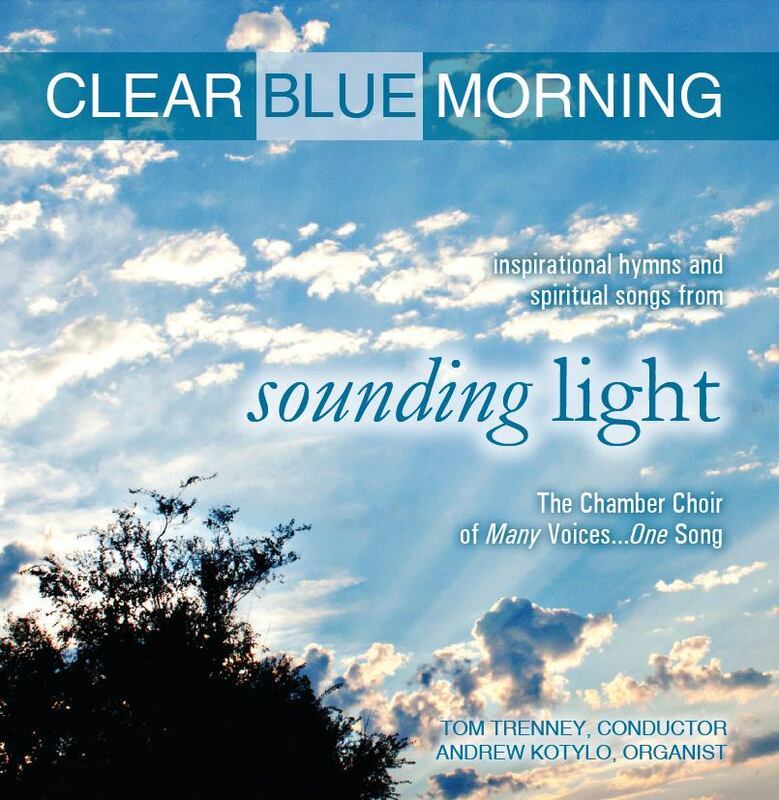 This uplifting collection offers brilliant performances of a kaleidoscopic array of hymns, psalms, and spiritual songs — including world premiere recordings of new works by René Clausen and Kurt Knecht, and featuring several compositions by sounding light’s own Tom Trenney. Open your heart to the radiant voices of sounding light who will surely brighten even the cloudiest day! Twenty four of our sounding light singers gathered in Michigan in October 2012 to record the group’s second recording: Glories Stream from Heaven Afar. This new CD will feature colorful arrangements of beloved Christmas carols, including “Hark the Herald Angels Sing,” “Once in Royal David’s City” and “Go Tell it on the Mountain.” Though mostly a cappella, the CD features a few tracks with instrumental accompaniment from piano, flute, oboe, and handbells. Read reviews of this recording. This debut recording begins with anthems that explore the darkness of the night and the soul, the coldness of pain and loneliness. The choir then awakens the listener with “Jesus, the Very Thought of You,” a musical and thematic answer to the opening questions. The journey is as moving as it is powerful. The choir’s flawless interpretation, articulation, and intonation unite as a shout from the soul. This is the group’s first recording; it’s exciting to wonder what might be next.